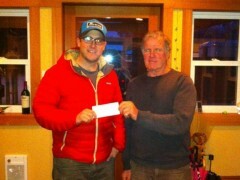 The Fernie Trails and Ski Touring Club (FT&STC) is pleased to announce another recipient of an Avalanche Bursary. 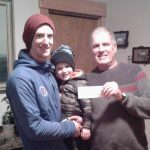 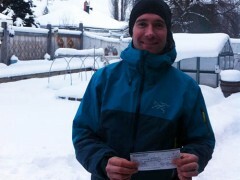 Yuri Lortscher was awarded $500 to help pay for a AvSAR course, a prerequisite for the Avalanche Operations Level II course. 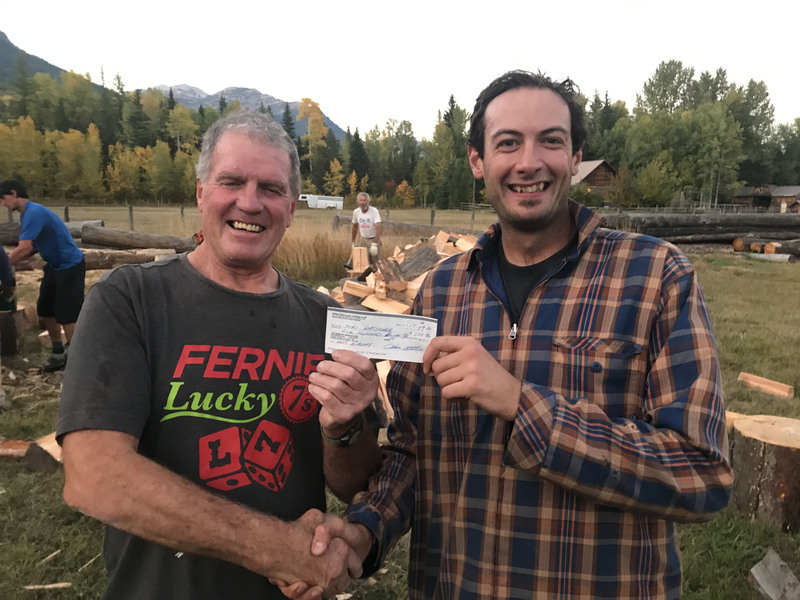 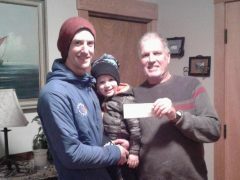 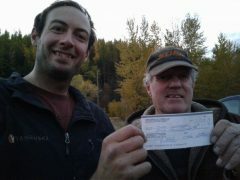 Above: FTSTC President Ian Stokie (left) presents a cheque to Yuri at our annual wood splitting evening for our backcountry cabins. 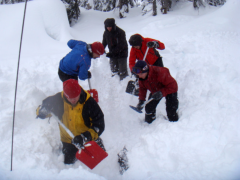 Yuri completing his Avalanche Operations Level 1 course in 2009, and has been using his avalanche knowledge to approach several self-supported trips through the Kitimat and Pacific ranges of the Coast Mountains, the Clemenceau Icefield, and numerous notable ascents of prominent peaks throughout the Canadian Rockies. 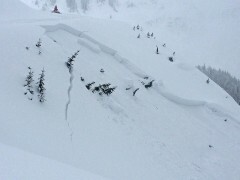 Yuri has patrolled at Sunshine Village, Castle Mountain, and now employed at Fernie Alpine Resort as a pro Patroller. 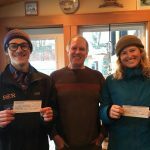 The avalanche bursary program has been in place for several years with the goal of promoting avalanche safety and awareness in the Elk Valley and to assist individuals who are pursuing a career in the avalanche industry. 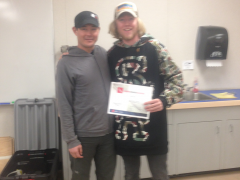 Yuri is a great example of our bursary program helping with Avalanche Education. 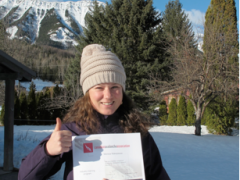 Awards of up to $1000 are available to successful applicants for the purpose of introductory Avalanche Safety Training courses (AST) or a Canadian Avalanche Association Industry Training Program Level I or II. 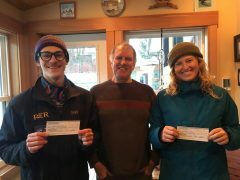 To receive a bursary applicants must submit a letter which outlines their experience in the winter back country, their interest in the avalanche phenomenon and their personal or professional goals with respect to avalanche safety. 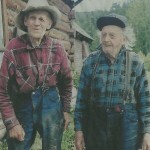 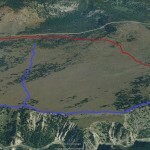 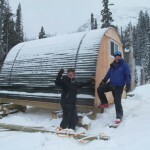 Applications should be directed to fernietrails@fernie.com. 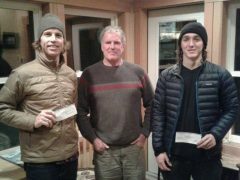 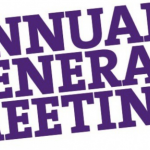 Preference will be given to locals and those who have shown a commitment to living and working in the Fernie area. 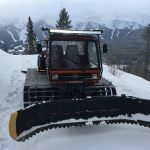 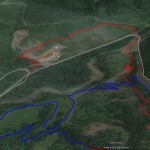 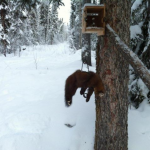 The FT&STC was incorporated in 1993 and its goal is to maintain responsible trail and ski access on Fernie and surrounding area Crown lands and private lands. 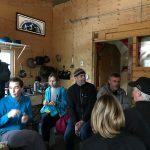 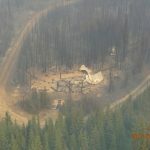 The organization also maintains and manages backcountry cabins for winter ski touring, biking and hiking.